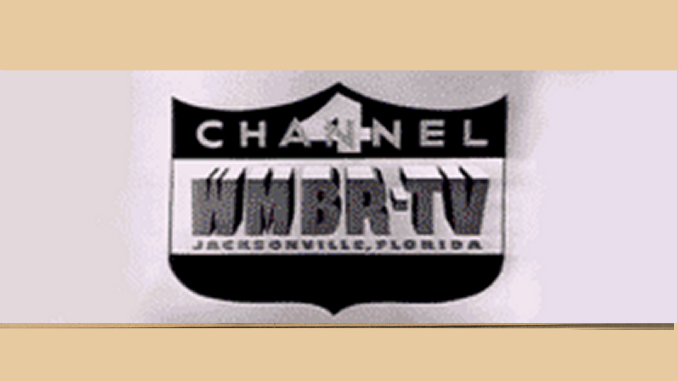 WKMG broadcast fascinating recollections of Hurricane Charley — and the other storms of 2004 — on Wednesday night. Reporter Donald Forbes had a particulary moving tale of riding out the storm in Port Charlotte crouched next to a wall, finally reaching the safety of the station’s satellite truck only after the storm’s eye arrived with an eerie orange glow. A reminder that on Thursday — the fifth anniversary of Charley — WKMG-Local 6, WOFL-Fox 35 and Central Florida News 13 are teaming up for a daylong telethon to benefit the Red Cross. The stations will be providing coverage of the telethon, which runs from 5 a.m. to 7 p.m. To donate, you can call 1-888-288-9279. Finally, I couldn’t let the Charley anniversary pass without another look at one of my favorite Orlando Weekly cartoons from 2004. 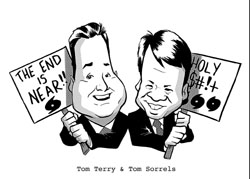 Tom Terry and Tom Sorrells became the most popular people in Central Florida for their endless hours of on-air work during Charley, Frances and Jeanne — but, no offense guys, we don’t ever want to see that much of you two again! Did O-Town sweeps stunt rob viewers?